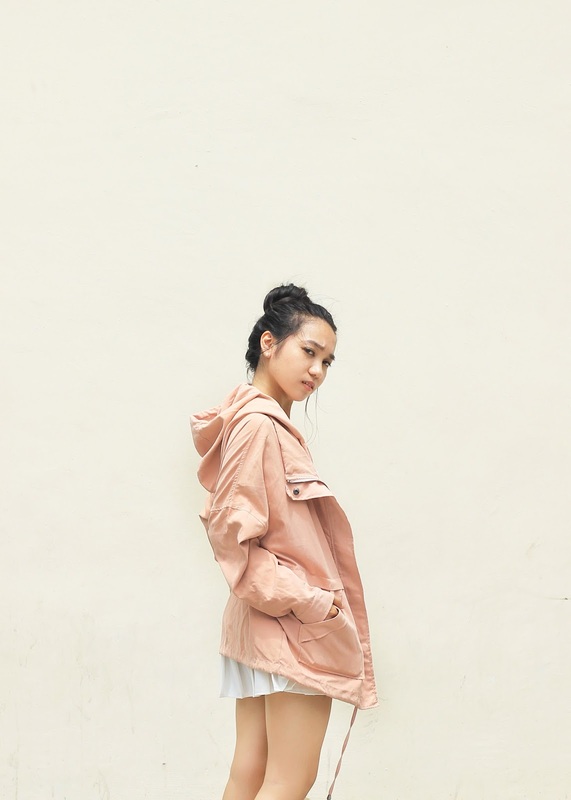 The rainy season is here, but that doesn't mean you have to let anything from a downpour to a light drizzle send your morning dressing routine into a tailspin. 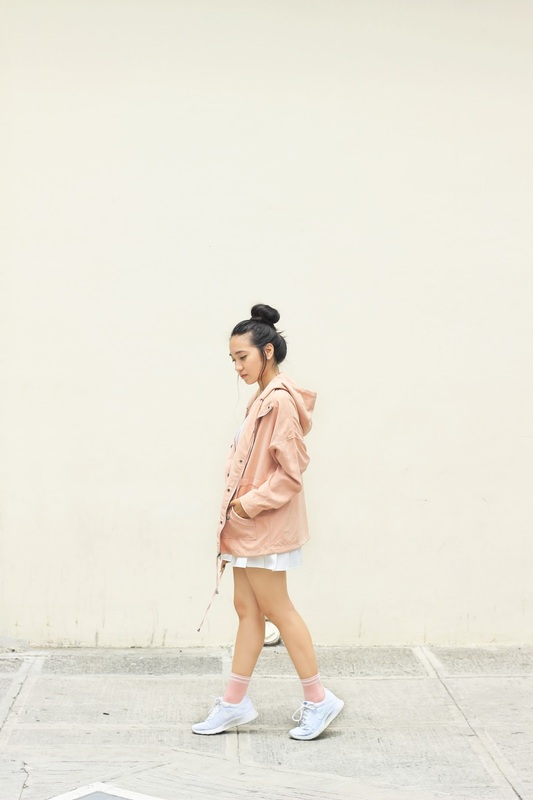 I know figuring out what to wear on rainy days is much of a nightmare (that explains why I don't like raining) but you can get away with it by sporting the cutest raincoats that not only protect us from the crazy storms, but also keep us looking stylish and chic despite the weather. 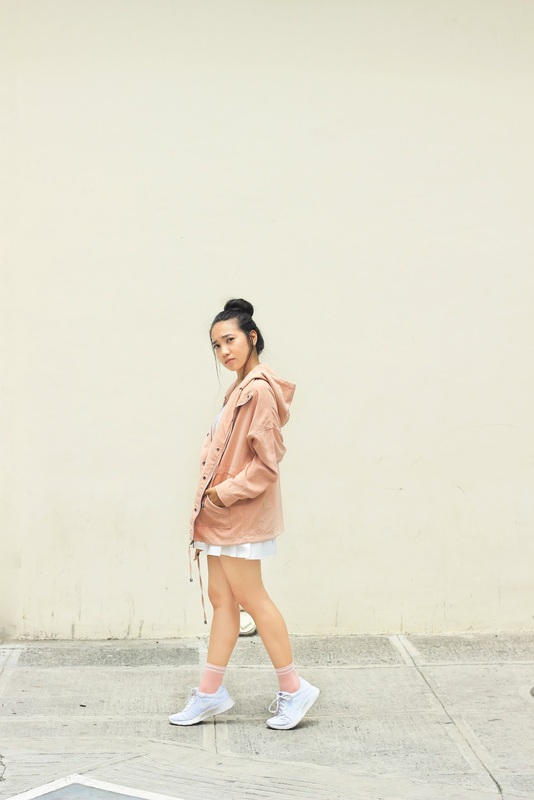 The jacket I'm wearing here is just one among the many choices from Shein. Hello Dear... Thank's for your visit. Omg I need this whole outfit, is goals! What a beautiful jacket, I loved that color. I get a lot of rain during spring where I live and I have always wanted a rain coat but thought I would look too childish in one. This Shein jacket is a great alternative and you look really cute in it. So pretty! I love the jacket <3 I'm following you. Amazing blog! I love the dusty pink jacket! very on trend! I follow you, your Blog is so great, with a lot of wonderful outfits. Maybe you check out my Blog and mybe you follow me. Would be happy to see you on my Blog. back as soon as I see it. I agree your pink jacket can instantly give great touch! And you don't need to be worried about rainy days! 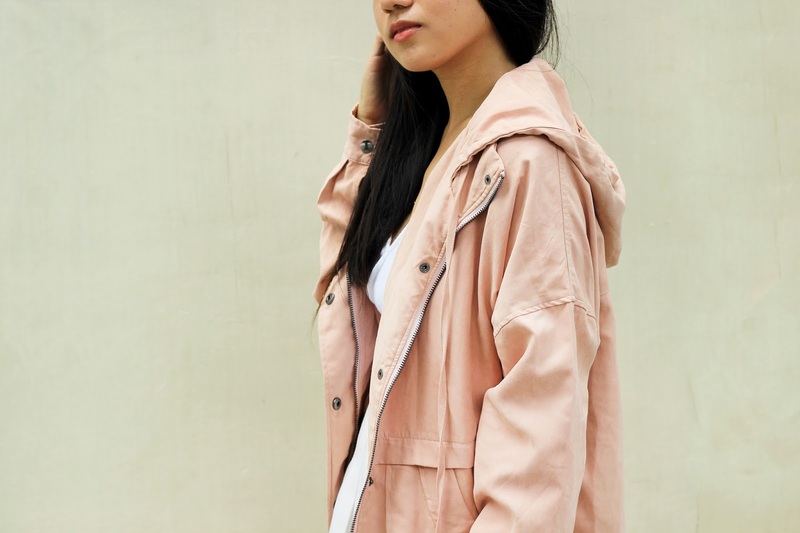 totally love this pink jacket! You look so cute in this jacket! I love the blush color! Loving the combination of pink and white, it is always so lovely. And you too look adorable here! So lovely the outfit darling that pinky touch is great!!! 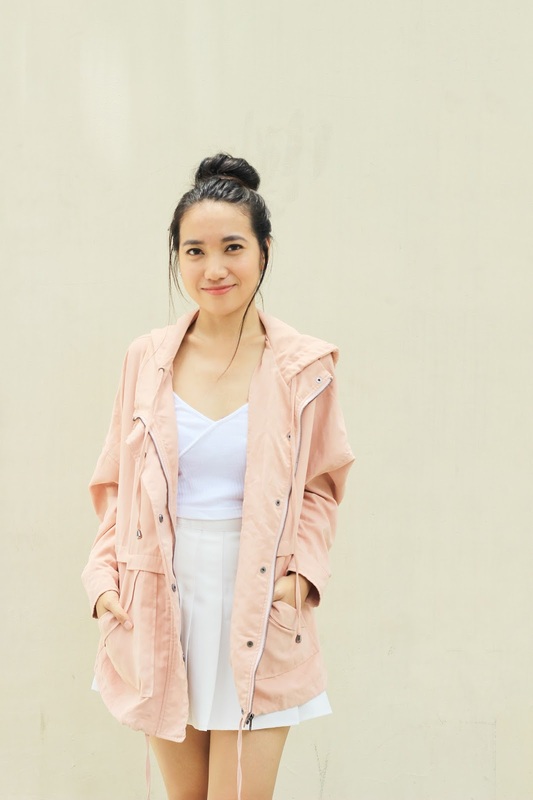 this is such an edgy outfit thanks to that lovely pink parka! love the tone of the photos too. You look so pretty and I love your jacket! I need a cute jacket like this! Perfect for rainy days. Love it on you. que chula la parka, me encanta! Love this jacket! You look super cool! Cute outfit!! Love the jacket,it is so cute, right?